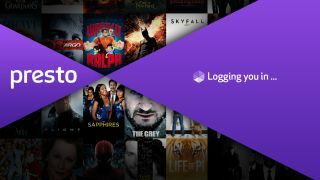 Foxtel's movie streaming app Presto is finally available on Chromecast, making Google's dongle more attractive. When Chromecast launched in May in Australia, Foxtel announced that Presto would become available for Chromecast in July. However, EzyFlix beat Presto with the launch of its EzyFlix.tv video-on-demand and video-to-buy streaming service on Chromecast in June. Available for monthly $19.95 subscriptions, as a launch partner, Foxtel is offering a month's subscription for Presto for free if you purchase and use Presto with Chromecast. Foxtel also announced that News Corp Digital subscribers are being offered Presto for free for two months. Presto is now available on select Android 4.1 devices as well from today, including Samsung Galaxy Note and Tab tablets, as well as the Nexus 7 and 10. For more info, you should check out our Chromecast review, as well as our Foxtel Presto review.